GLADSTONE Power's gun new point guard is set to teach the younger players "the finer points of the game." After a strenuous recruitment process, men's coach Dale Iwanicki is pleased to announce the signing of talented point guard Shaun Gleeson for the 2013 season. Gleeson comes to the Gladstone team on the back of two stellar seasons with Northside Wizards in 2011 and Ipswich Force in 2012. Last season he led the QBL in scoring with an average of 23 points per game. Gleeson has also had NBL experience after spending a year with NBL side Gold Coast Blaze in 2010/11. With the Power needing to address the point guard position in the off-season after the departure of import Kevin Gaines, Iwanicki looked to an Aussie to fill the spot. "I spoke with Shaun about the opportunity to move north and help a developing and improving ball club and that was something he was very interested in," Iwanicki said. "Shaun is one of the most outstanding overall players in this league and his ability to lead a basketball club is exemplary. "Shaun is a very good leader and communicator and in his short time in Gladstone has been helping develop the younger members of our squad teaching the finer points of the game." With the addition of Gleeson, the Power will look to make a real play-off push this season. "Shaun brings an extremely intense and competitive attitude to this team and with the addition of Braydon (Hobbs) in the backcourt I feel we've improved immensely and addressed some key needs from past seasons." 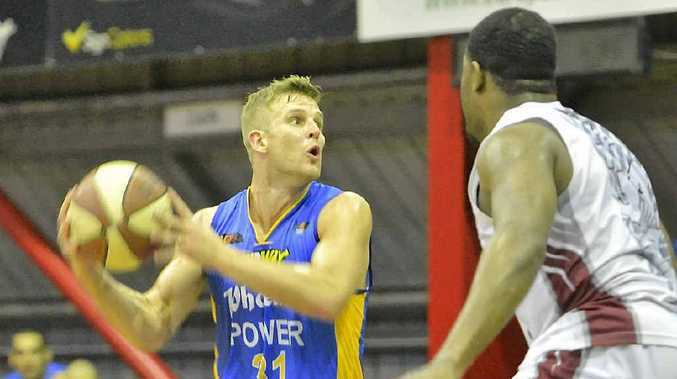 The Power's season starts at home on May 11 against rivals the Rockhampton Rockets at 8.30pm.